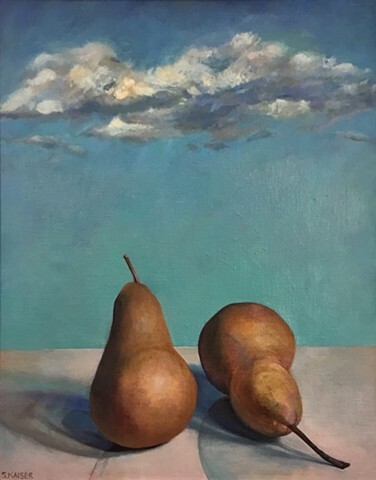 In this painting, two pears are juxtaposed on a table. The remind me of people, and are possibly a married couple. Their shadows intertwine and mingle, yet they have their own identity. The open, blue sky gives them room to breathe.